One of the very best things about mixing is that there is a TON of free information online about how to hone your craft. You may not be in the position to pick the brain of a master mix engineer, but you can sure as hell find out his secrets via the interwebz. 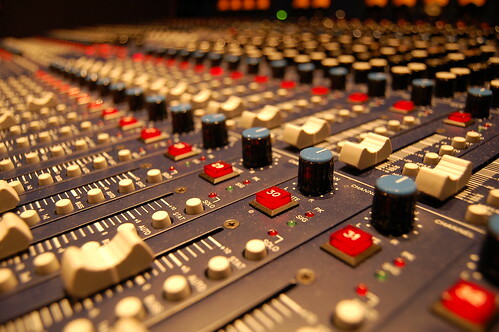 The following sites are unreal good sources of information that can instantly improve your mixes. The greatest online forum to ever exist in the history of everything ever. Some heavy-hitters have and do hang out in this forum, offering advice and tips. There are years and years of collected info to dig through. A word of caution: there will be some separating of the wheat from the chaff. Though there are plenty of guys who know what they are talking about, there are also plenty who only seem like they know what they are talking about. Check out a poster’s website/online work, if available, before putting too much stock in to what he says. 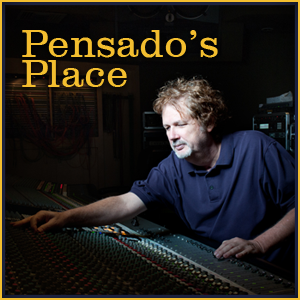 Dave Pensado is one badass mixer. And he became even more badass when he started spilling the beans on his best tricks and tips. I dare you not to completely love his style of delivery in his slow and laid-back Southern drawl. Oodles of videos and info to keep you entertained and informed for days. He’s got tell-all instructional videos and interviews with some of the best of the best. All for freeeee. The indie/low-budget recording mecca. Great articles and message board here. Follow the same caution as Gearslutz: check out a poster’s work before believing his hype. Don’t forget to sign up for a *free* subscription to this magnificent magazine! There are some big names hanging around this forum. And you can browse back through all of the posts and treasure troves of info. Also, the beginning of the Mixerman saga you may be familiar with started right here. The man, the myth, the legend. Their “How’d He Do That? !” sort of interviews with the biggest names of the mixing world give incredible insight into some major label mixes. One of the very best is the rarely interviewed Andy Wallace giving away his secrets. Same with Mix Magazine, Sound on Sound has hundreds of great interviews with the heaviest hitters. And where else can you download the mix recall notes from Randy Staub for his Evanenscence mix?! Also, the interview with Rich Costey about mixing The Foo Fighters is just stellar. All the information you need to improve your mixing is already out there. Seek and ye shall find!